Take Advantage of End-of-the Season Pricing! Buyers are Motivated! This condo is priced to sell. So check out this Open House at 1280 Blue Point Av, C-29 in the Royal Harbor-Windstar area, Oyster Bay development of Naples, Florida. This luxurious 3-bedroom, 2-bath condo is a lovely deal, priced at $489K. The spacious floor plan takes full advantage of a calming bay breeze year-round. The condo includes a 23′ boat slip on a private dock. Walk to the beach and fishing. Enjoy the view of Naples Bay. Enjoy the pool framed by palm trees. Olde Naples is nearby and accessible from this great condo. Lounge at the pool or enjoy the breeze and view from your lanai. This coveted location is close to the historic Olde Naples district. Walk or bike to Naples Pier, galleries, farmers market, amazing shopping, the beach and more. Enjoy great fishing spots within walking distance! The Open House on Saturday is hosted by Krisandra Panting, REALTOR®. So come on by! 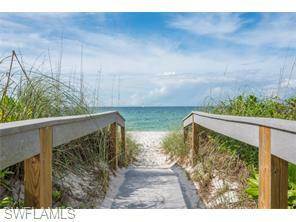 Call for more information on this home or another Naples property. 239.703.9412.